Added the FL/GA Classic Series to the events calendar and to the series page. Â The FL/GA Classic Series consist of eight rounds of racing at six tracks in Georgia and Florida. 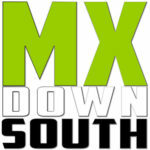 Â The opening round is this weekend at Bostwick MX Park in Green Cove Springs, FL. DOUBLEÂ SUZUKIÂ CONTINGENCY FOR THIS EVENT!!! !